The E-Pace is equipped with a 10-inch touchscreen infotainment system that behaves like a smartphone and a 12.3-inch TFT display in the instrument panel which can display maps in 3D. You can also get the optional head-up display. The E-Pace also comes with a waterproof activity key from which you can locate your SUV and even check the fuel level. Jaguar’s first-ever SUV, the F-Pace, introduced last year has not only become a blockbuster, but has also received rave reviews for its driving dynamics. While some may think that Jaguar can now rest on their laurels, the manufacturer thinks otherwise. 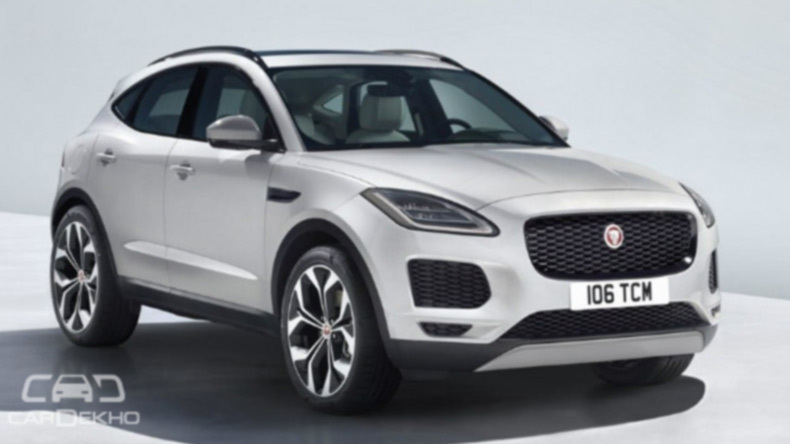 The British carmaker has now introduced a smaller SUV called the E-Pace. Meant to be the F-Pace’s younger sibling, the E-Pace has been in the works for quite some time and prototypes of the SUV were spotted testing earlier this year. Jaguar even teased it last month. Now, we finally have a clearer picture of what the SUV looks like. Continuing Jaguar Land Rover’s habit of introducing their sedans and SUVs through a lavish and stunt-filled event, the E-Pace made its world debut in London by performing a barrel roll! Let’s see what Jaguar’s baby SUV has to offer. The E-Pace’s design takes inspiration from the F-Pace and the F-Type. Take a look at the front end and the rising window line and it will instantly remind you of the F-Type coupe. 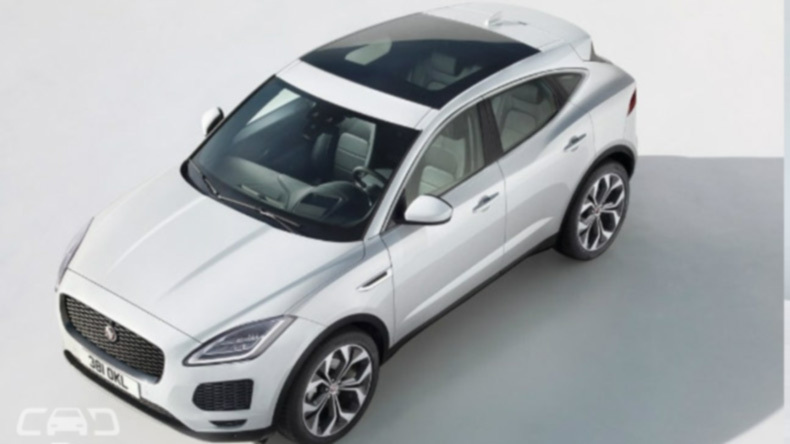 The coupe-inspired design has given the E-Pace a steeply raked roofline, a compact rear section and a faux diffuser under the rear bumper. Look at it from the side and the E-Pace looks like a shrunken F-Pace. Jaguar says the E-Pace has been designed and engineered to be beautiful, fun and clever. There’s no doubt that the E-Pace is aimed at a younger demographic. Step inside to the familiar Jaguar interior and you will be greeted by soft and high-quality materials. The attention to detail throughout the cabin is similar to what you would find in any Jaguar. Jaguar’s internal design team calls the E-Pace the Cub of the family and it is made evident with the aid of a Jaguar and Cub motif in the windscreen and puddle lights. The HVAC controls, the designers say, have been inspired by a traditional 35mm film camera lens and the front seat labels and the stowage mats have prints like the skin of the wild cat. When it comes to luggage space, you get plenty. The boot is rated at 577-litres and there’s the additional 10.7-litres and 8.42-litres of storage area in the glove box and central storage compartment respectively. In terms of safety features, the E-Pace comes with six airbags, Blind Spot Assist, Autonomous Emergency Braking and a pedestrian airbag too. Engine options include two petrols and three diesels. All engines displace 2.0-litre in a 4-cylinder configuration, and while the petrol engines offer 250PS and 300PS, the diesel ones are rated at 150PS, 180PS and 240PS. The engines will be coupled to either a 9-speed automatic or a 6-speed manual. Apart from the base models, most variants will feature a four-wheel drive powertrain. Although the power is distributed individually to all four wheels, it can be sent towards the rear wheels to give the feel of a rear-wheel drive car. The 300PS petrol variant is capable of reaching the 100kmph mark in 6.4seconds and has an electronically-limited a top speed of 243kmph. Jaguar is likely to launch the E-Pace in India by the end of 2018 with prices starting from the Rs 50 lakh mark. It will compete with the SUVs like the Audi Q5, Mercedes-Benz GLC, BMW X3 and the upcoming Volvo XC60.